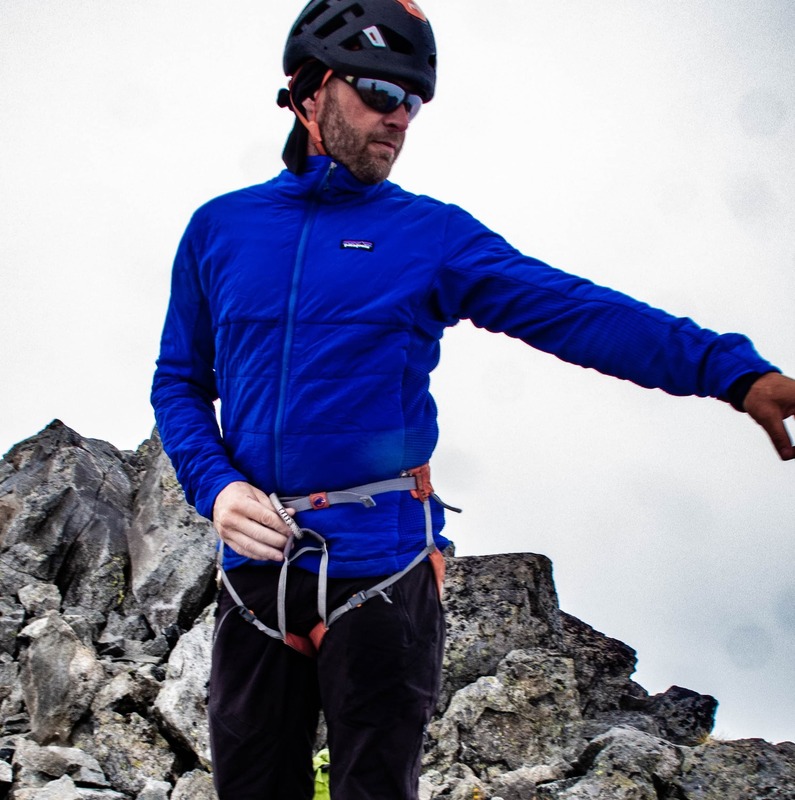 Climbing with a rappel or tag line can offer a number of advantages over using double or twin ropes in many situations. As a result they’ve been quickly gaining in popularity. 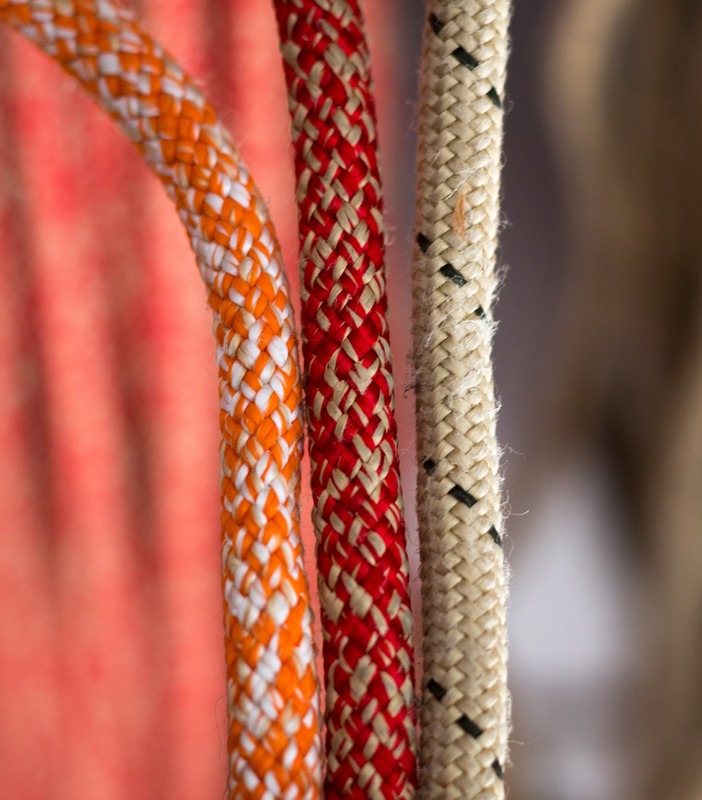 Traditionally a long piece of accessory cord was the go-to for a tag line. 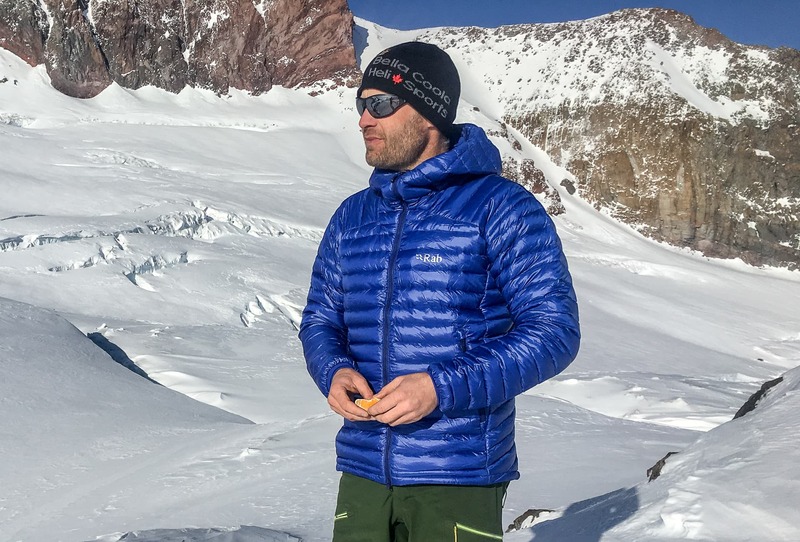 However, due to increasing popularity, many companies now make a specific product for this use including Sterling Ropes, Mammut, Petzl, Beal and of course Edelrid. 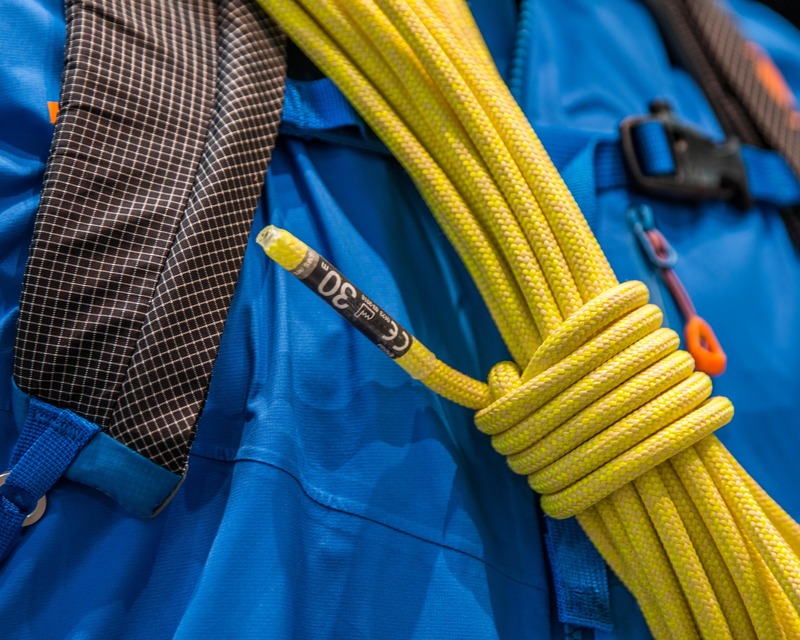 However Edelrid has tried something a bit different with the Rap Line II and given this 6.0mm static rope a fall rating! Crazy right! 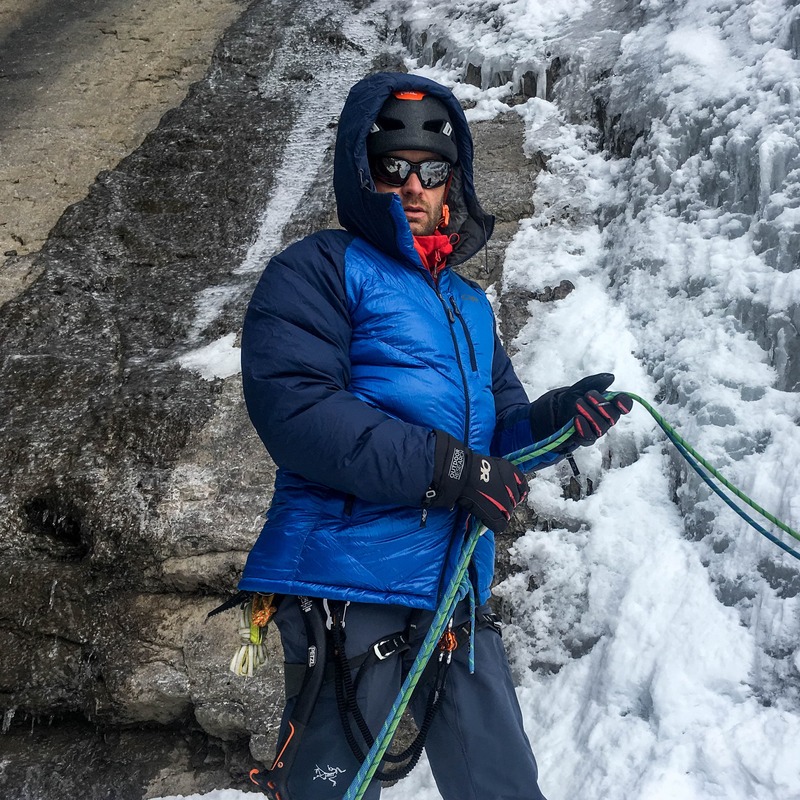 Tag lines and rappel lines have been getting more and more popular with climbers, at least in areas with competent rock. Let’s start with the feature that really separates the Rap Line II from the rest of the pack, the fall rating. In an effort to improve safety and versatility Edelrid designed their rappel line to absorb the energy of a limited number of falls (2). Now why would you ever take a lead fall on a rappel rope or tag line? 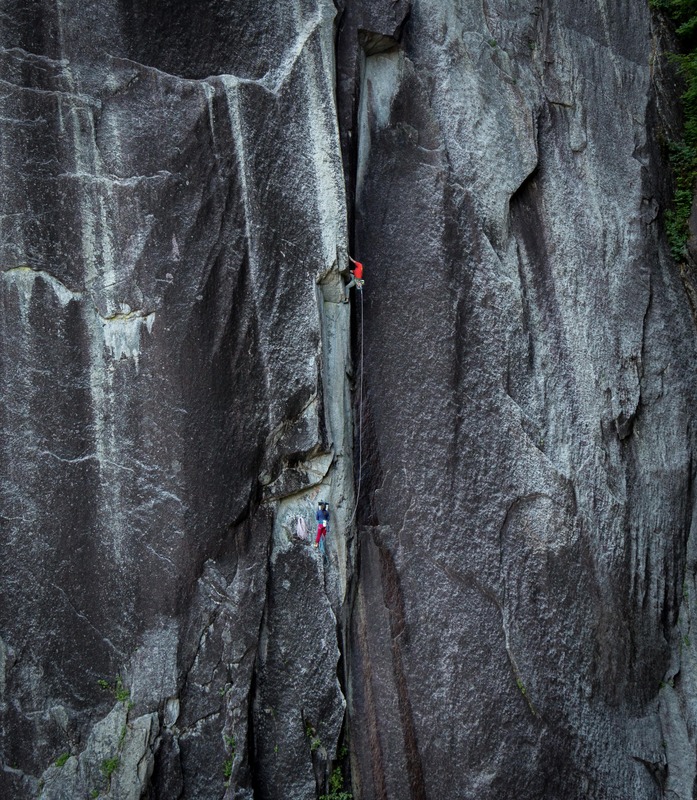 The most obvious circumstance would be a stuck lead rope when rappelling. Just tie into both ends of the Rap Line II and use it like a twin rope. 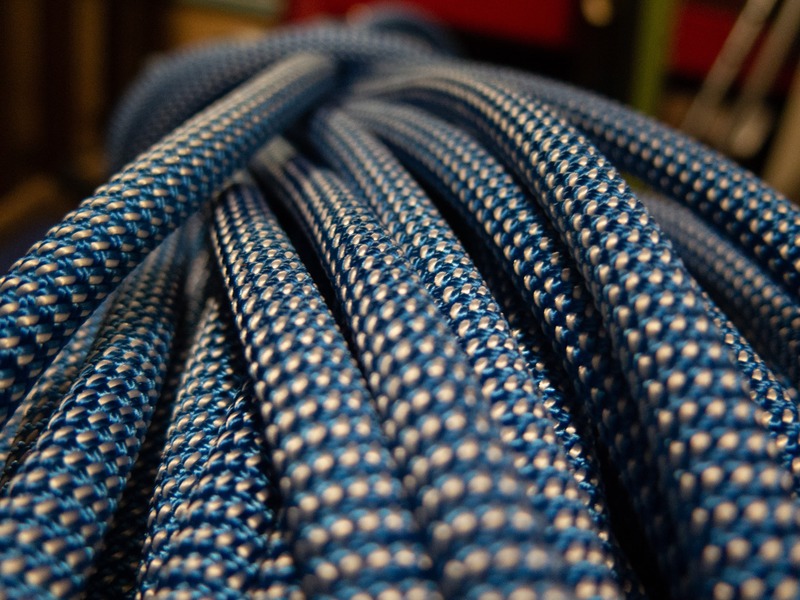 But remember that most belay devices aren’t rated to handle a 6mm rope so there’s not going to be very much friction. 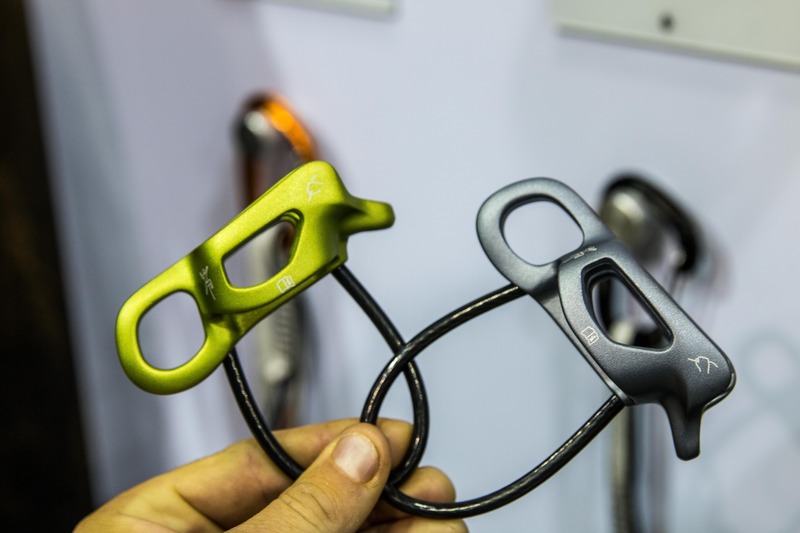 One possible solution is to use two carabiners with a tube style belay device (Reverso, ATC, etc.) instead of just one. The downside to the Rap Line II’s fall rating is the increased static elongation or stretch. On higher friction rappels this stretch is quite noticeable and makes the 6mm diameter line even more physically demanding/tiring to pull. 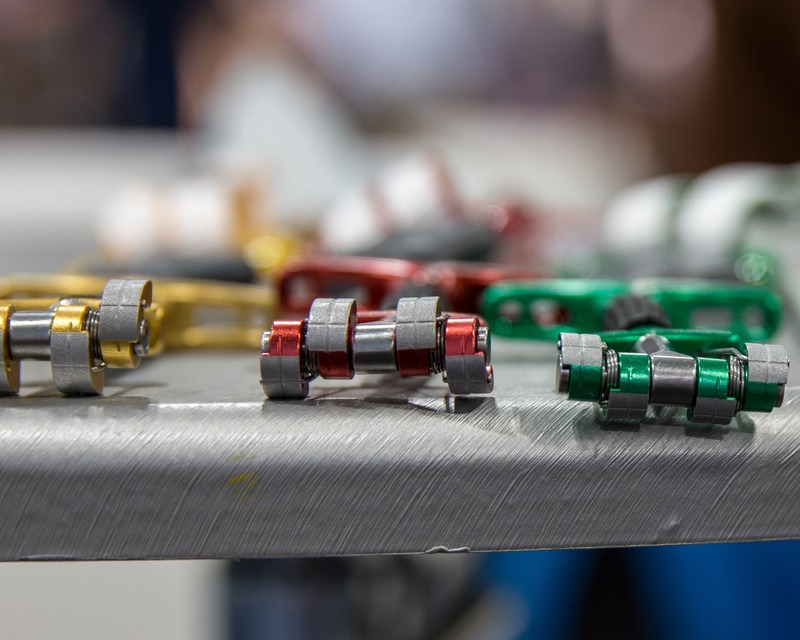 Various rappel or tag line options. 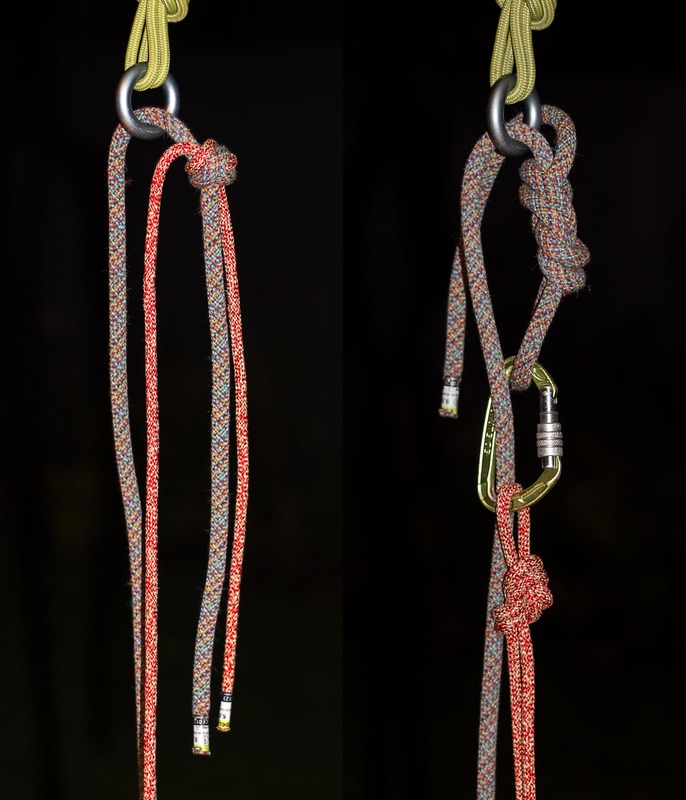 From left to right: Beal half/twin rope, Edelrid RAD line (30m), Petzl Rap Line II, Sterling TRC (30m), Sterling half rope. It can be hard to strike a good balance between supple and stiff with thin cords like the Rap Line II. 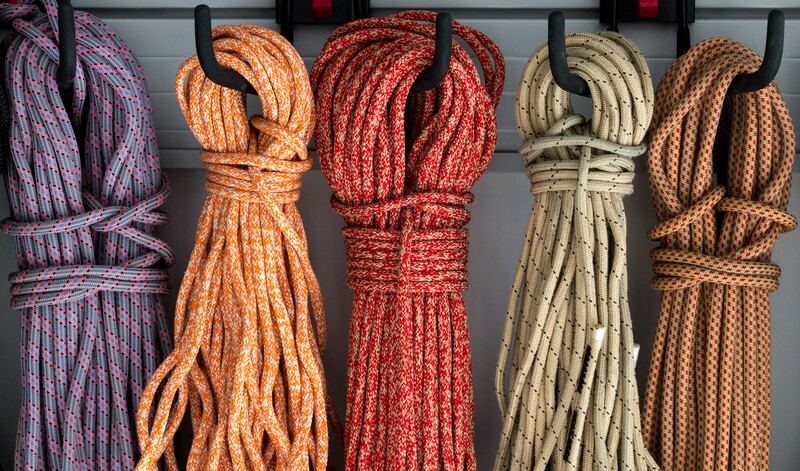 A stiff cord is much less likely to tangle while a supple cord is easier to handle. 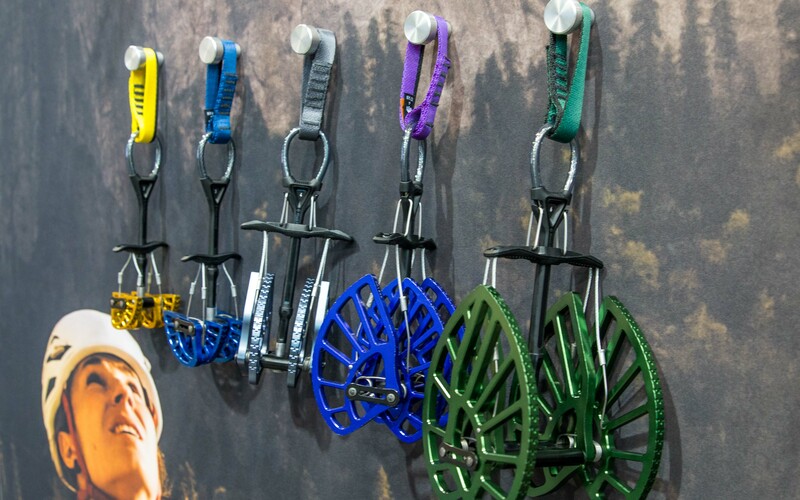 Edelrid opted for the more supple end of the spectrum. 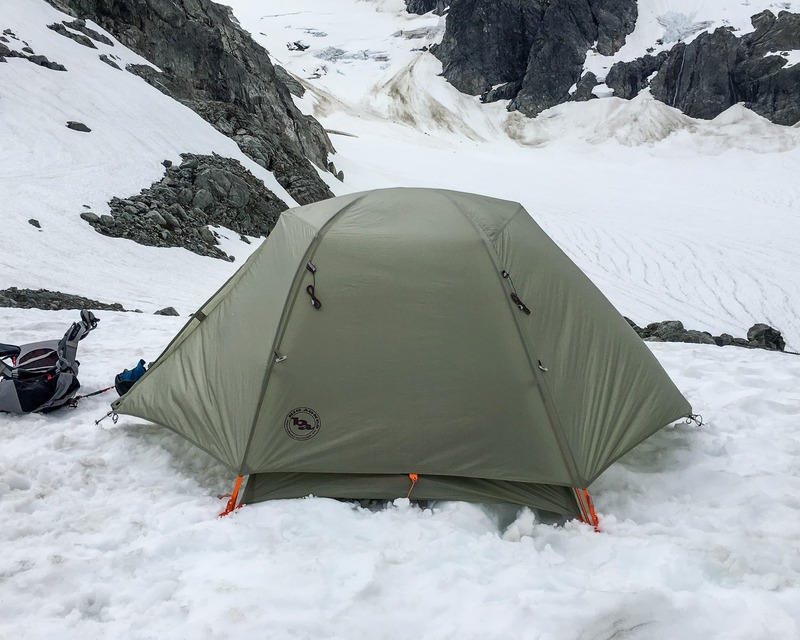 The Rap Line II feels a bit stiffer than the RAD line but more supple than a typical twin rope or the Sterling TRC. In use I found it to be a very functional balance between soft and stiff on all but the windiest of days where everything’s a battle. Comparison of 6mm tag/rappel lines. 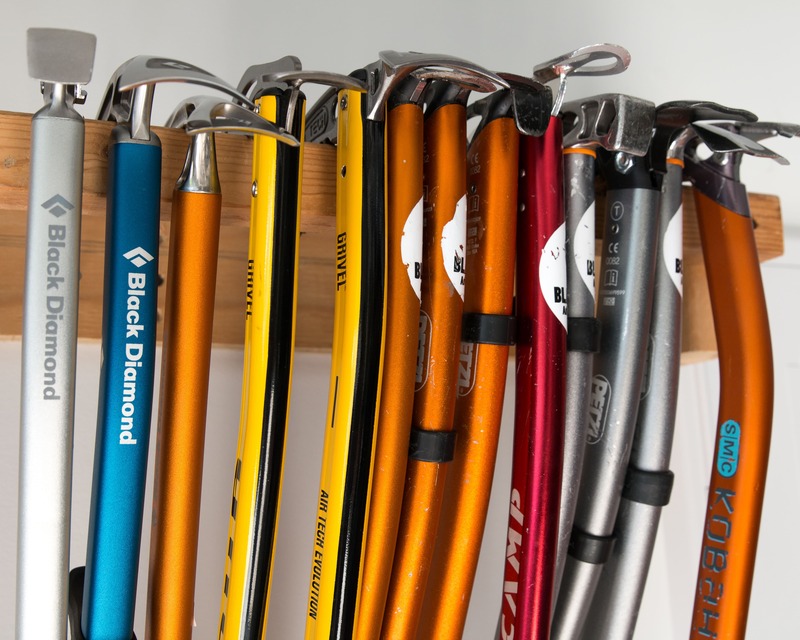 From left to right: Petzl RAD line, Edelrid Rap Line II, Sterling TRC. The Aramid/Dyneema sheath of the RAD line looks very similar to the Aramid/Polyester sheath of the RAP Line II. 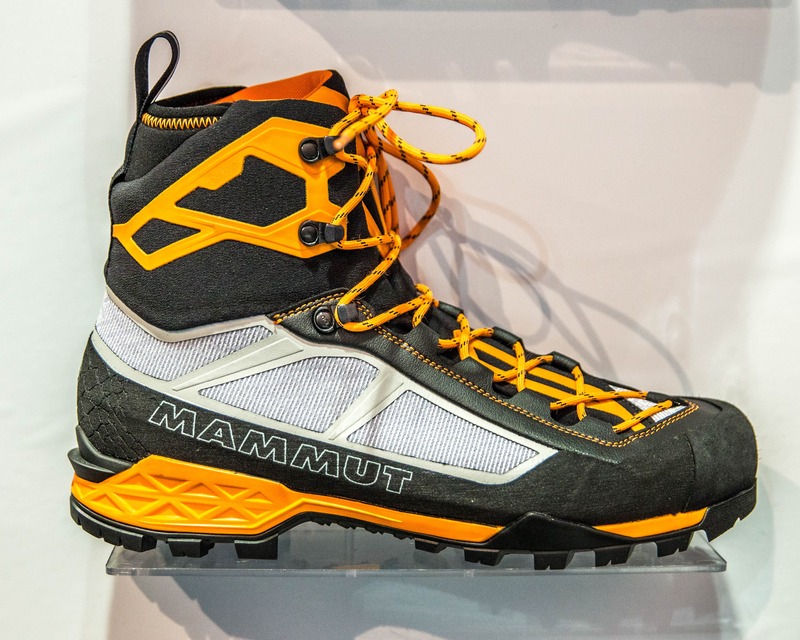 As its name indicates the RAP Line II is designed to be used for double rope rappels. In testing I typically used a flat overhand knot (EDK) with lots of tail (>30cm) to tie the Rap Line to my lead rope, keeping the knot on the RAP Line side of the anchor. As you can expect the Rap Line has less friction than a climbing rope so positioning the knot on the Rap Line side stops the rope from creeping through the anchor. As long as the knot doesn’t pull through that is. If it can pull through I typically clip the climbing rope back to itself to close the system like I would if rappelling on a jam knot. 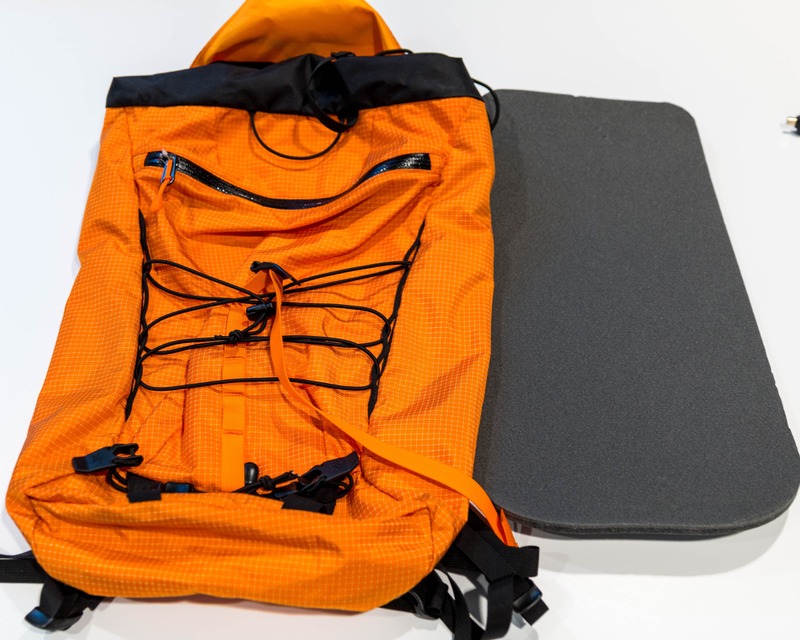 Two options for rappelling with the Rap Line II. On the left a single overhand with a long tail is positioned such that the knot will stop any movement (assuming it won’t fit through the ring). On the right an alternate system that works well if the knot can fit through the ring. There are more ways to skin this cat though. 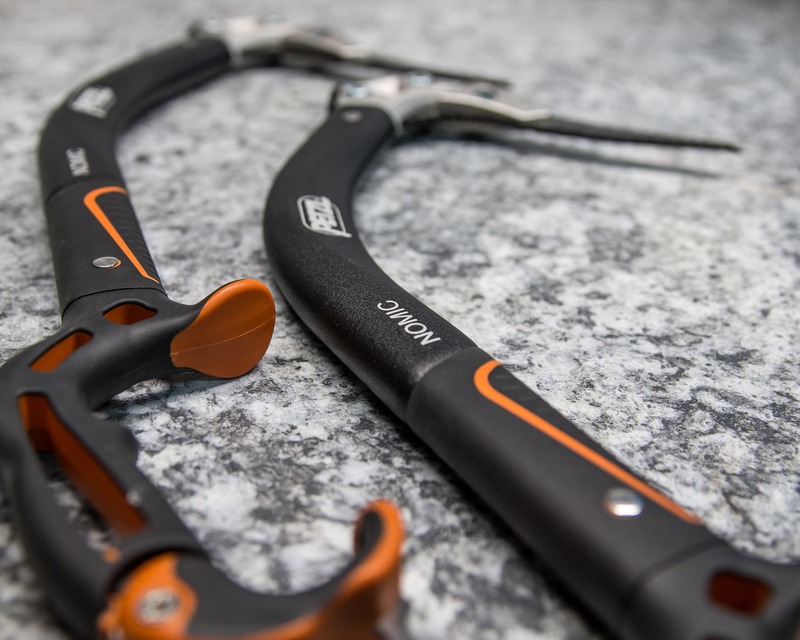 Cons: Not as light as some other options such as the Petzl RAD Line, a stretchy 6mm line is difficult to grab and pull on higher friction rappels. 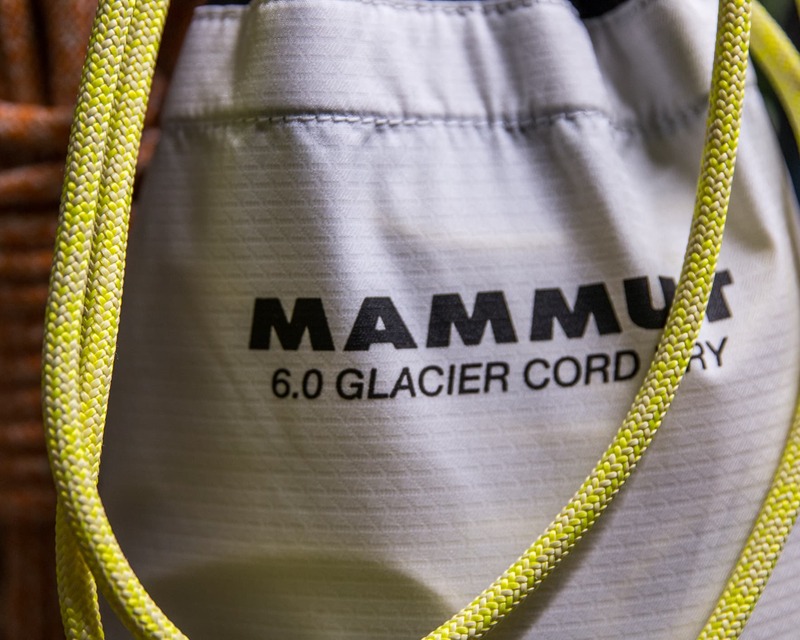 Overall: This unique rappel / tag line provides exceptional versatility & safety at a great price. We were provided with a review sample but this did not influence us in any way.